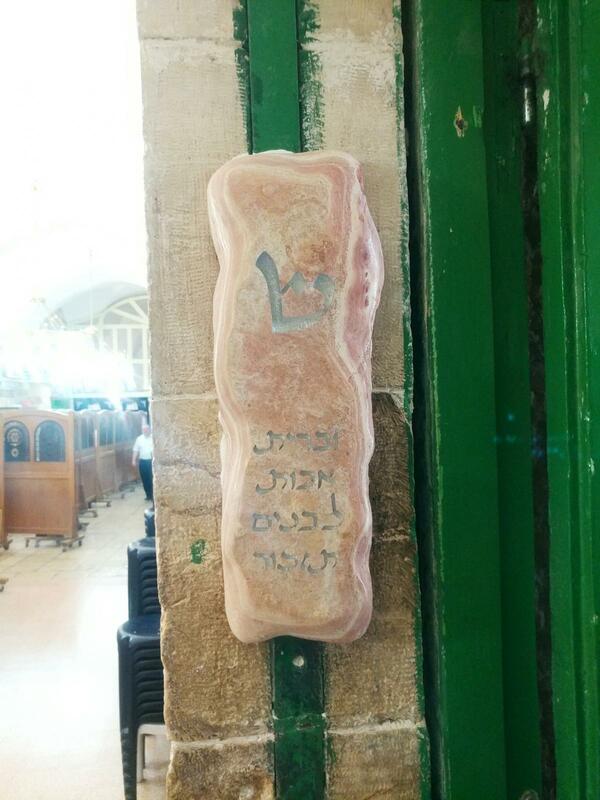 Noted artist creates beautiful and vandalism-proof mezuzah for holy site. Two new stone mezuzot were installed at the Tomb of Machpela this week. One mezuzah was discovered damaged during the final Friday of the Muslim month of Ramadan, during which Muslim prayer services are held. Israel's rotation agreement with the Islamic Waqf sees the Machpela complex reserved for Muslim services during music holidays, and Jewish services for Jewish holidays. This is not the first year that a mezuzah or other Jewish religious item has been vandalized during Ramadan. Most books and other items are removed before Muslim services. During the rest of the year, the complex is divided into Muslim and Jewish sections. On Jewish holidays, the carpets in the Muslim side are removed. The new mezuzot were designed to be beautiful and resistant to removal or vandalism. They were created by artist Assaf Kidron. The same artist also designed the impressive mezuzah at the main entrance in the Jewish section of the complex. A mezuzah is traditionally affixed to the doorpost as described in Deuteronomy 6:9 (And thou shalt write them upon the door-posts of thy house, and upon thy gates.) Inside the decorative box is a scroll containing the Biblical words.